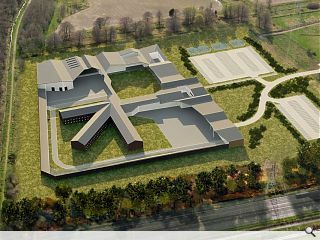 The Scottish Prions Service has published initial designs for a new jail at Milton of Leys designed to replace the Victorian-era HMP Inverness which has been deemed unsuitable for redevelopment. 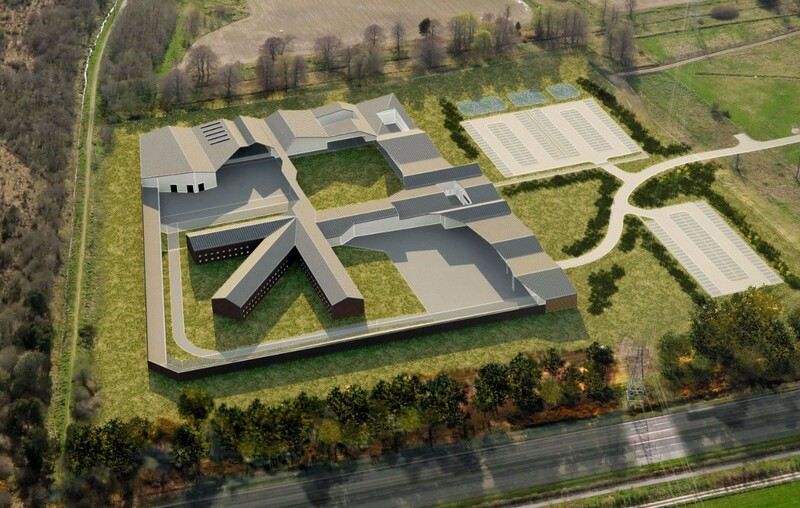 HMP Highland is expected to be one of Scotland’s smallest prisons with a maximum design capacity of around 200 places with a focus on introducing facilities geared toward offering support toward inmates and reducing reoffending. The SPS will contract with the private sector to design and construct the prison following conclusion of pre-application discussions. A public consultation event is scheduled to take place on 26 May and 8 June at Inshes Church between 14:00 and 19:00. You could tunnel out of that no bother. Where are the gun nests?? The design looks OK from 10,000ft. It is screen and far from existing housing and I dare say looks better than the UHI buildings further down the A9. I take it the Victorian era building is aesthetically pleasing? Make sure the turn it into nice flats or something.